Radio2Fun Bangladesh FM Radio Live Streaming Online . Listen Over 50 bangladesh FM Radio Stations online . Enjoy Live Stream of Bangladeshi Music,News 24 by 7 Online . Listen to the bangla Music online. Enjoy bangla Music 24 by 7 live . 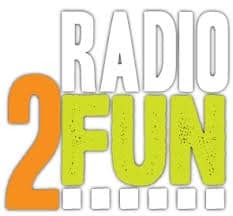 Radio2fun is the 1st Online Station in Bangladesh operating 24 by 7 live from Dhaka . Radio 2fun was started its journey in 2006 as the first online station in Bangladesh. It believes that sharing is the core nature of this entire nature . With alignment of that statement this online station is trying to share everything within its reach among this blend of connected multicultural commonality . It is now one of the most popular online radio in the whole world . It has five different stations with five different flavors .